Availability Zones is a high availability offering that protects applications and data from datacenter failures. Availability Zones support is now generally available for Azure Service Bus premium and Azure Event Hubs standard in every Azure region that has zone redundant datacentres. Note that this feature won’t work with existing namespaces—you will need to provision new namespaces to use this feature. 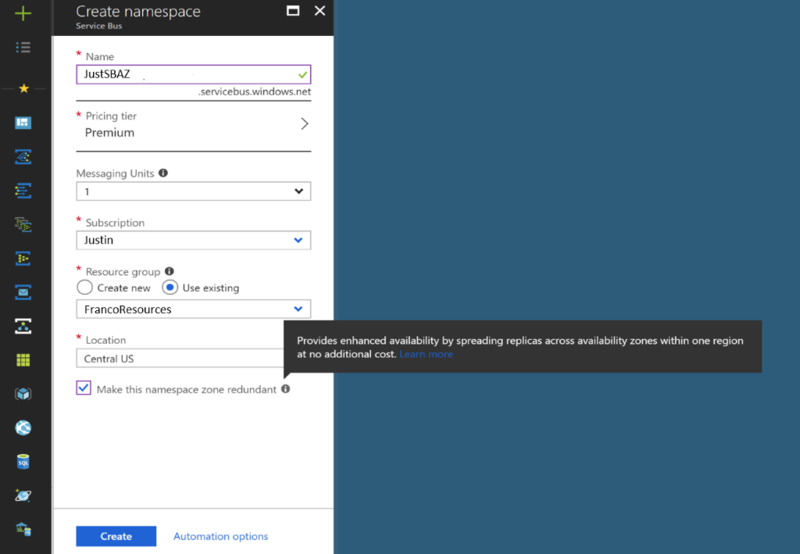 So you might wonder how you can enable Availability Zones on your Azure Service Bus Premium namespace or Azure Event Hubs Standard? Please refer the detailed blog which has the steps to move forward.